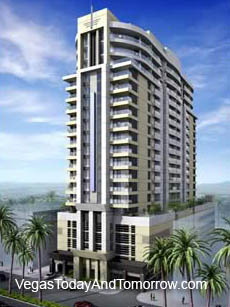 The Art Deco-inspired Liberty Tower will be the centerpiece of the "lifestyle end" of the Strip. 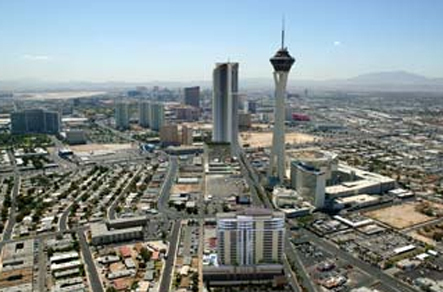 This rich and vibrant neighborhood, between Charleston Boulevard and Sahara Avenue, is home to stores and restaurants, local businesses, and single-family homes. Liberty Tower will house 132 condominiums. Units range from two-bedroom residences to three-bedroom penthouses. The 20-level residential complex is the brainchild of Australian developers Victor Altomare and Joseph Di Mauro, who also conceived the Ivana project. Liberty Tower will have its own onsite cafe and bistro to cater to residents. You can dine in the restaurant or order a meal to go.